1965, Birmingham Alabama Fairgrounds. Freddy Fryar (car #48) from Rossville Georgia. 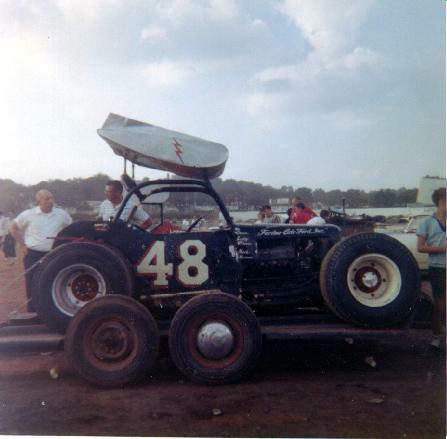 Great NASCAR modified star of 1950's - 70's. Brother, Harold Fryar also was a great dirt driver in the 60's. I believe Freddy is a crew chief for a Craftsman Truck team.